How is it a man with only four years of education (let me clarify, elementary, not college or university) become the dictator of a country? Nicolae Ceausescu was in charge of Romania for over 22 years (if you only count the time he was President). I will use the word President as that was his title however as this post goes on that will change. Nicolae Ceausescu came from an abusive home. His father was an alcoholic and the abuse was enough to force elven year old Nicolae to run away from home. Nicolae was able to seek out shelter with his older sister in Bucharest. Nicoale found an apprenticeship as a shoemaker. Learning to be a shoemaker is not really important to the man he would become. Nicolae is a undereducated, abused boy that had an abusive role model growing up. Anyone is this situation would be looking for acceptance. A place where he belonged. Something with structure that made him feel safe. The turning point to this is that the shoemaker that he was apprenticed to was and active member of the Communist Party. At this time Communism was illegal. Here was the perfect opportunity to bring another into the fold. Alexandru Săndulescu had an apprentice that was young, impressionable and bound to him by need for the job. This is where the path of Nicolae turned from learning to be a shoemaker to Communist Dictator. At fourteen Nicolae himself was a member of the party. His tasks included gaining signatures for petitions and handing out Communist materials. Through his teen years he was arrested multiple times because of his activities for the Party. He was in and out of jail, with his longest stretch was two years and six months in Doftana Prison. Communists and fully believing that this is what he is fighting for. Being a part of that community is like his home. The leaders are his father figures. If he doesn’t do what they say he is no longer welcome. Prison in the 1930's is not a nurturing place. Corporal punishment through whipping, substandard food and drinking water and hard, back breaking work. This would be a small picture of what would happen to Nicolae. Since he had been arrested for fighting in 1933, at the age of fifteen, for fighting we can only assume that Nicolae himself was not on his best behavior when in prison. The six months that was added for contempt of court. When Nicolae emerged from prison he would be nearing the age of 21 and now was not only that fearful, abused child, he was also a hardened former prisoner. In 1940, during a time when he was in between jail stints, Nicolae met his future wife Elena Petrescu. I'm going to save the topic of her and her influence for a follow up post. In 1940 to 1943 Nicolae found himself back in prison. This time the charge was "conspiracy against social order". He bounced around from prison to internment camps for three years. The only important moment in all three of those years was in 1943 was the assigning of Nicolae's cell mate. Gheorghe Gheorghiu-Dej was elected as the Communist Party leader of the prison faction in 1936. Nicolae had been placed in a cell with a high ranking Party leader. Gheorghe Gheorghiu-Dej was quick to take the young Nicolae under his wing. This is what Nicolae craved. A father figure who would teach him things, support him and keep him safe. The path for Nicolae Ceausescu was laid out since he was eleven. He was never a leader, he was a follower. He followed what he needed. Safety, which he found within the Party, the feel of belonging to something and above all people who would accept him, unlike some other men of Romania. As I continue to explore the Nicolae Ceausescu's rise to President of Romania his desperate need to have outsiders admiration, which he has displayed through his youth, will be the key to all of his undoing. 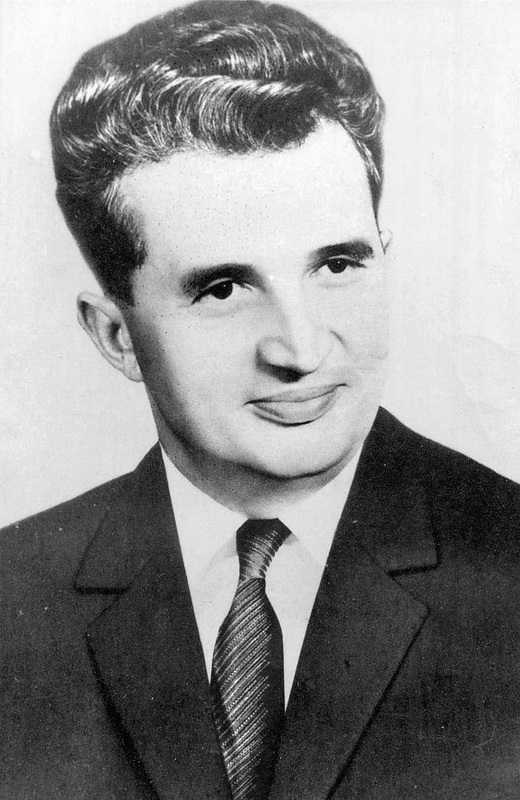 In my next post I'll explore the years as Nicolae Ceausescu rose through the ranks of the Communist Party in Romania and how the he became the President of Romania.